Are you on the Keto diet? Do you like to endulge in snack time? If so, I think that you are going to like my list of 13 Keto snacks delivered to your door. 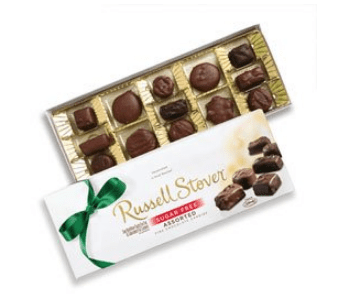 You can choose from butter cream caramels, strawberry cream, mint patties, or my favorite… pecan delights! They taste just like Turtles! 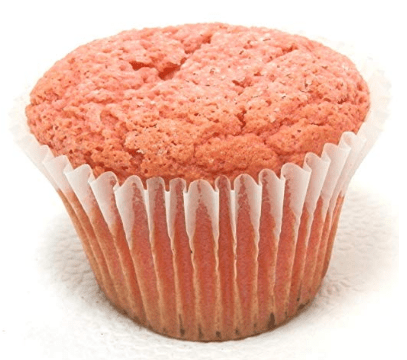 Carbolicious makes a scrumptious “muffin”. To me, its a cupcake lol. I really love the strawberry one. I haven’t had the chance to try the other flavors: cappucino, chocolate, chocolate chip, cinnamon and marble. They come in a pack of 6. After I receive them, I put one away for that evening and pop the others in the freezer. I thaw and microwave when Im ready for a sweet treat! Carbolicious also makes a delicious melba toast. I like to use them as croutons on my salad. I also like to eat them with keto approved dips. 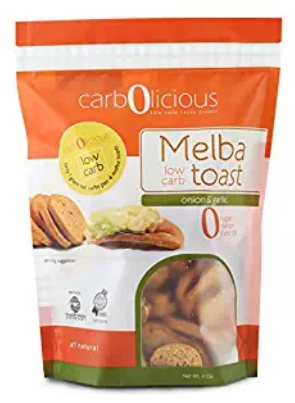 Oh my gosh… my mouth is watering just thinking about dunking these melba toasts into some keto crack chicken dip. 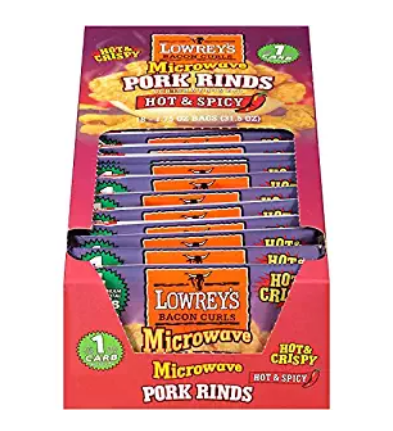 Pork rinds are like my holy grail of keto approved snacks. I like to snack on the bbq or hot and spicy pork rinds. 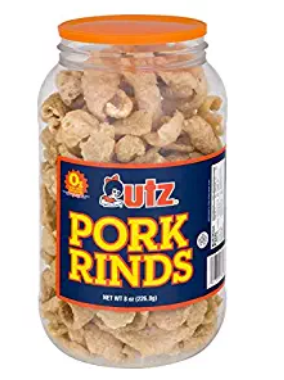 I like to grind up the unflavored pork rinds and use them as bread crumbs in recipes. I also love these microwaveable pork rinds on movie nights. There perfect for when you want to munch on a low carb snack during a movie. They even come in a popcorn bag! 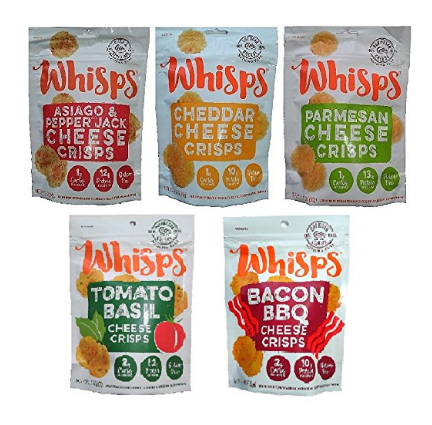 Whisps cheese crisps are another great low carb snack idea. They come in the following flavors: Asiago and pepper jack, cheddar cheese, parmesan cheese, tomato basil and bacon bbq. I’ve tried all of these flavors except the tomato basil. Asiago and pepper jack is my favorite. I think you will love these cheese crisps too! Do you miss the pre-keto days of enjoying a good chocolate bark? Don’t fret. 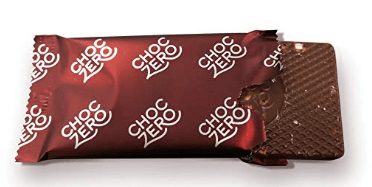 Choc zero makes a few good chocolate barks. Choose from milk or dark chocolate. Then you can choose whether you want almonds, coconut or hazelnut. Sooo good. When I first started the keto diet, I ran to the grocery store looking for beef jerky. While in the past it was an easy grab, not so much on keto. All of the grocery store beef jerky packages were laden with carbs from the sugar. 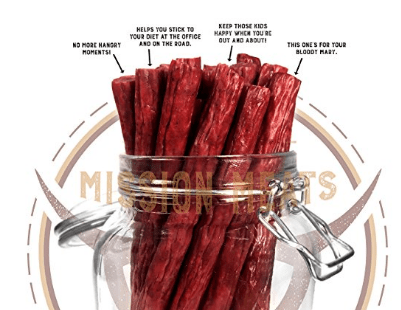 These keto beef jerky sticks on Amazon are sugar free and low carb! 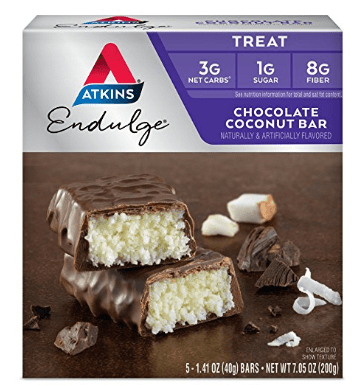 Atkins has a lot of different sugar free snack ideas that are great for those on the keto diet! I really like the chocolate coconut bar because it reminds me of a Mounds candy bar. There’s a total of 13 different flavored treats. 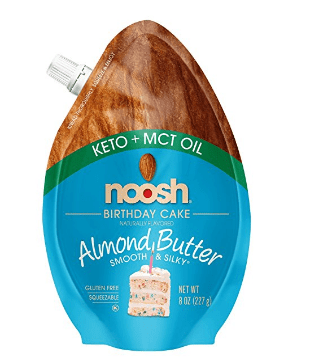 So you are sure to find the perfect keto sugar free snack for your taste buds! 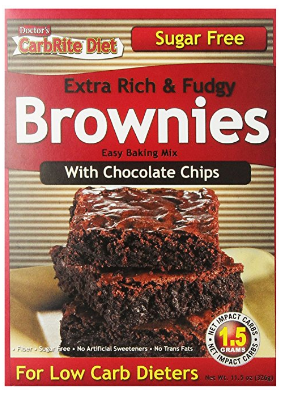 These carbrite extra rich and fudgy brownies have a lot of great reviews on Amazon and are good for low carb dieters. I haven’t had a chance to try this almond butter out yet. But let me know what you think. I’ll be ordering some to my door soon! 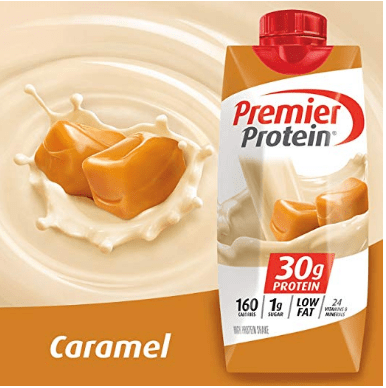 I like to make sure I have my Premier Protein shakes delivered to my house for when i’ll be making a Keto Starbucks run! 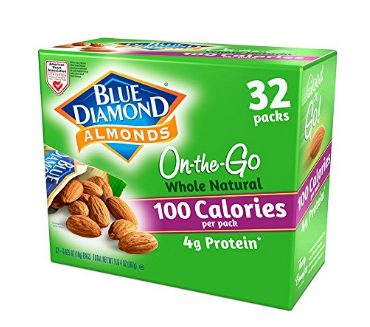 You can’t go wrong with a pouch of almonds for when you need a tasty snack. I hope you like my list of 13 keto snacks you can have delivered to your door. What are some of your favorite Keto approved snacks that you like to have delivered to your door? Let me know in the comments. Im always looking for new keto snacks!